Usually people drink milk in the morning. 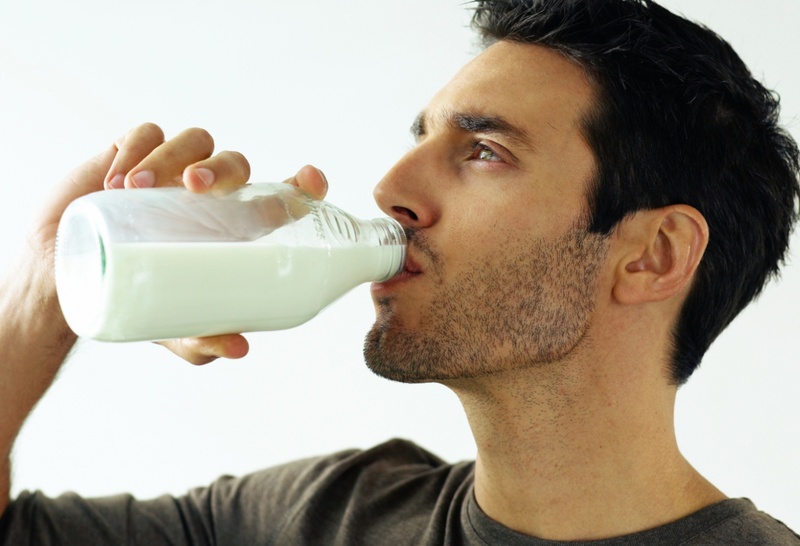 But instead of drinking milk in the morning, it is more beneficial to drink milk in the afternoon or at night. #1 Never drink milk after waking up in the morning. The acid level remains imbalance in the body. One might face acidity or cough problem. #2 Always drink milk at night. Milk contains amino acid that calms the mind. One gets good sleep at night. #3 Do not drink milk immediately after meal. This might create indigestion. It is beneficial to drink milk after 2 hours of meal. #4 Always drink lukewarm milk. If you are suffering with acidity or ulcer problem then drink cold milk. #5 Do not mix sugar in milk. It is beneficial to mix raisin, date, munakka or mishri in milk. #6 Many people get digestion problem after drinking milk. They should mix saunth, ginger or pipli in milk. 37 Mixing ginger, clove, elaichi, saffron or cinnamon in milk avoids stomach problem. Milk is easily digested.